Until I started researching Aliens, Ghosts and Vanishings, I was unaware of how many bizarre things have happened here in Australia. TV is full of the freaky stuff that happens overseas, but not so much about our own backyard. Did you know, for instance, that we have our own version of Bigfoot called the Yowie? That the Loch Ness Monster may be related to our very own Hawkesbury River Monster? Or that the mysterious Bermuda Triangle has its counterpart right here in the Bass Strait? I’ve selected just five of the amazing stories I came across while writing this book. What caused rocks to fall from the sky? 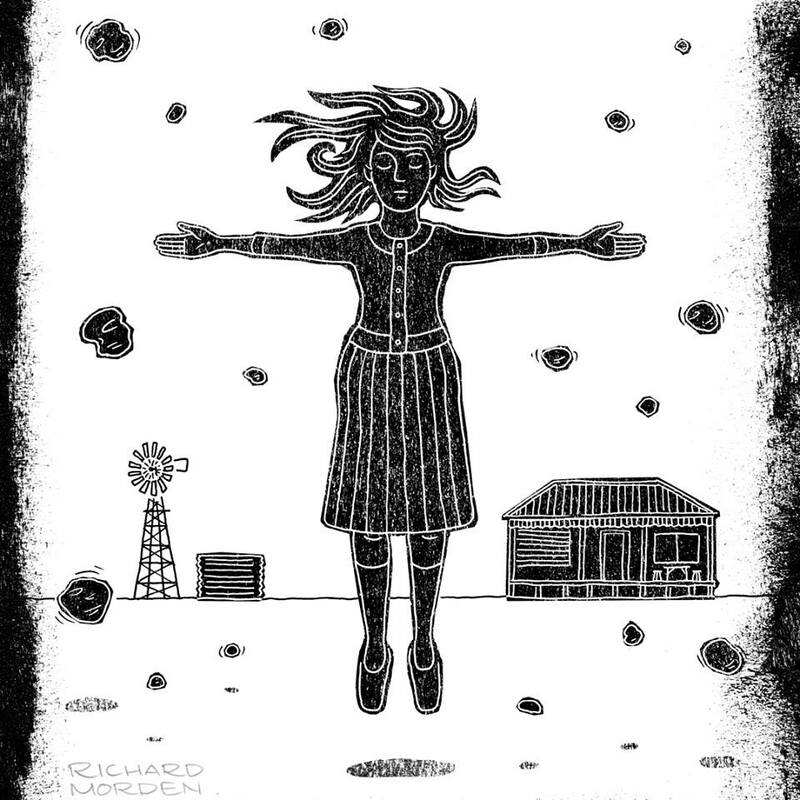 Back in the 1950s and 60s, stones were seen to inexplicably fall from the sky in rural Western Australia. Not just once or twice, but many times, stretching over a period of months. Hundreds of people witnessed the phenomenon and to this date, there is still no rational explanation for what happened. Some say the answer lies in the spirit world. Others blame playful poltergeists. Others prefer not to know! Some of the hauntings I researched for the book were unnerving, even frightening. Some were poignant and rather sad. But this one left me feeling optimistic. Melbourne’s historic Princess Theatre is said to be haunted by the ghost of actor Federici. A weak heart didn’t stop this young man from pursuing his passion, but during a performance of Faust in 1888, the strain was too much for him. As his character Mephistopheles (a demon!) sank slowly down on a trap door, poor Federici had a heart attack and died almost immediately. That didn’t stop him taking the final bow, however! The audience saw him soaking up the applause, unaware of what had happened. His ghost is said to appear in the theatre to this day. And when it does, the show will be a huge success. Finally – a good luck ghost! Why did Harold Holt vanish? Sometimes we might wish our politicians would disappear – but not like this! Back in 1967, Prime Minister Harold Holt entered the water at Cheviot Beach near Portsea, Victoria. Although a strong swimmer, he was never seen again. 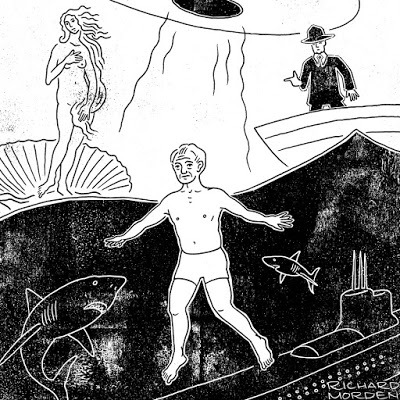 Rumours as to why he vanished abounded – including alien abduction, Chinese submarines, and a luscious lady friend! A family driving the long stretch across the desert were completely shaken when an unidentified flying object chased their car. Not only did it pursue them – it hovered overhead and they felt their car lift into the air! Like many of the other stories in the book, this strange sighting was corroborated by independent witnesses. And we thought these things only happened in America!! The book illustrations reproduced here are by Richard Morden. Thank you, Vasudha, I’m very glad!